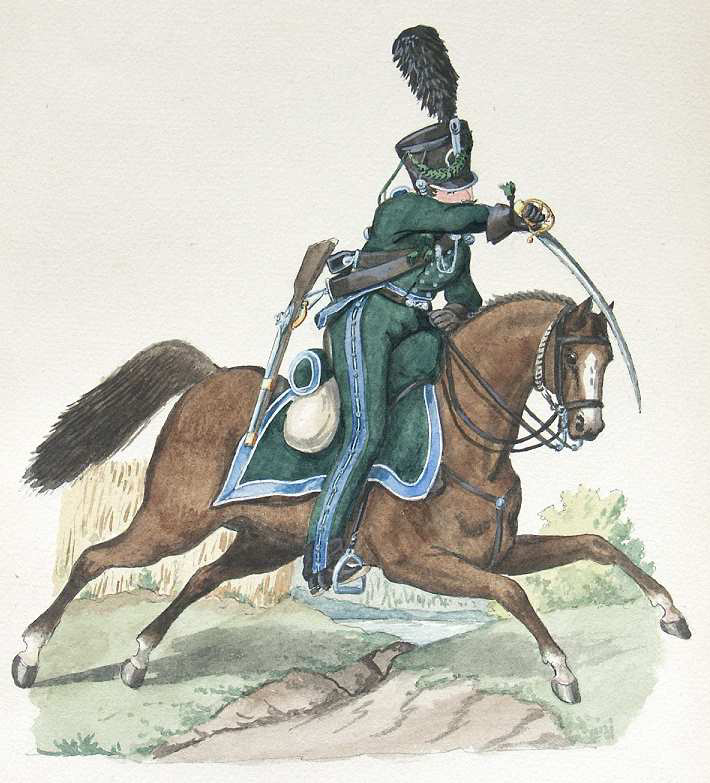 The famous “Lipperheide” collection, now belonging to the Kunstbibliothek (art library) in Berlin, contains a collection of 50 water color plates. 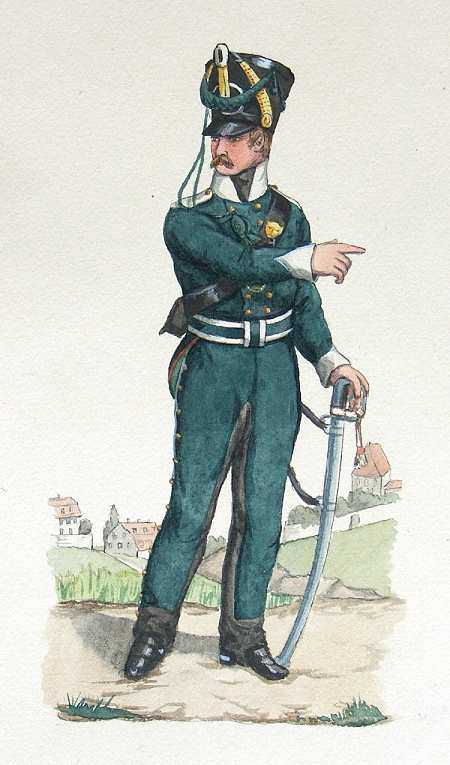 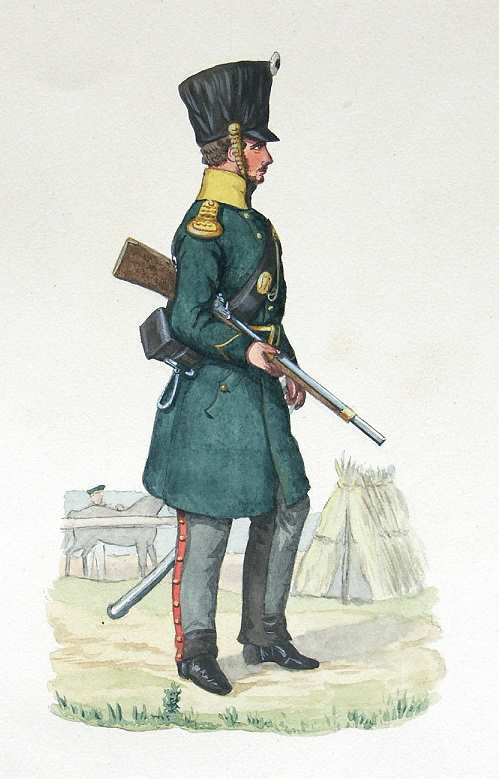 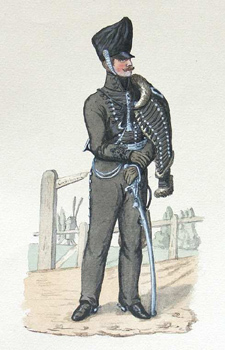 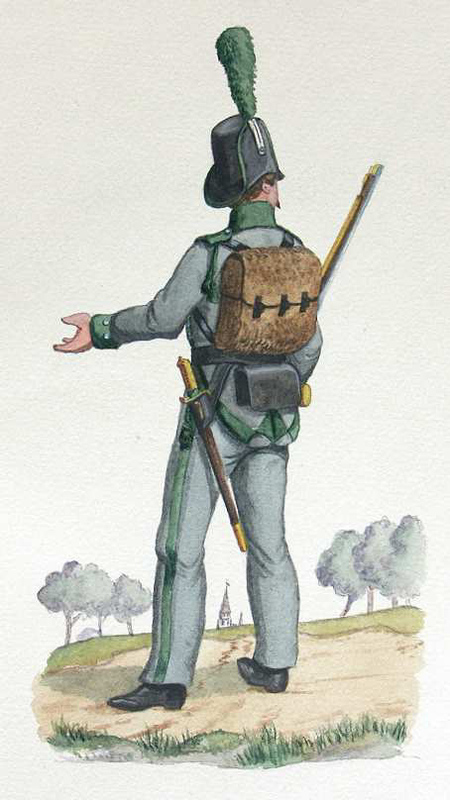 These were drawn and colored by the uniform artist Friedrich Neumann, a contemporary of the famous uniform researcher Richard Knötel. 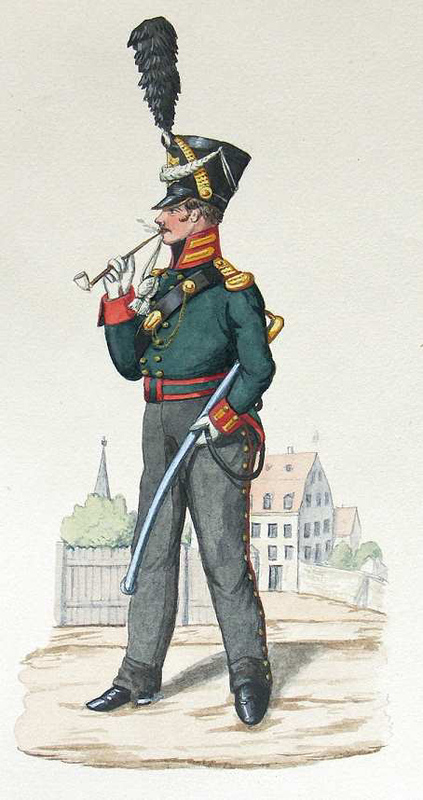 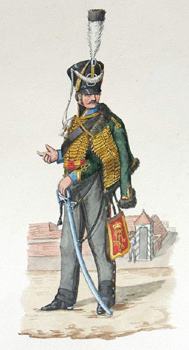 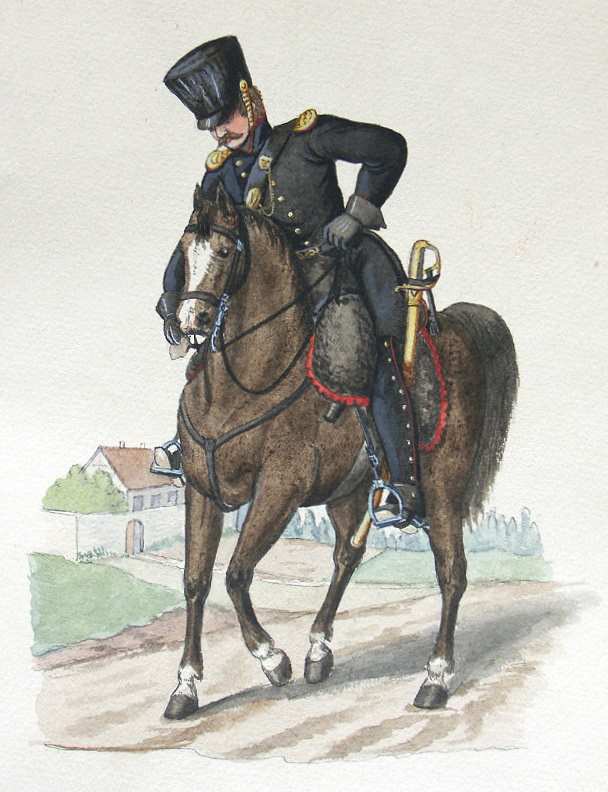 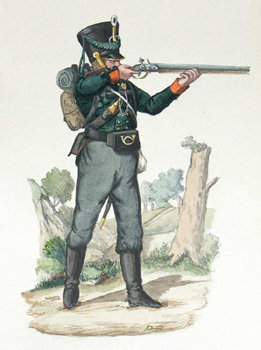 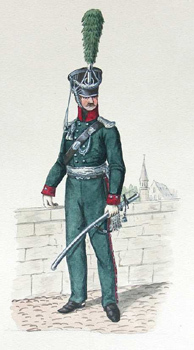 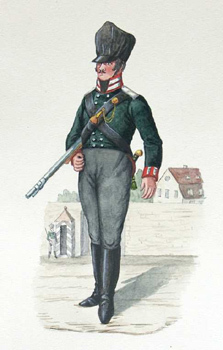 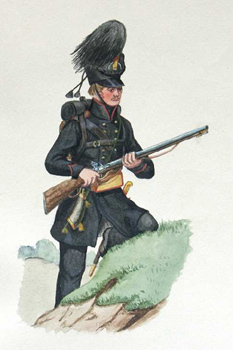 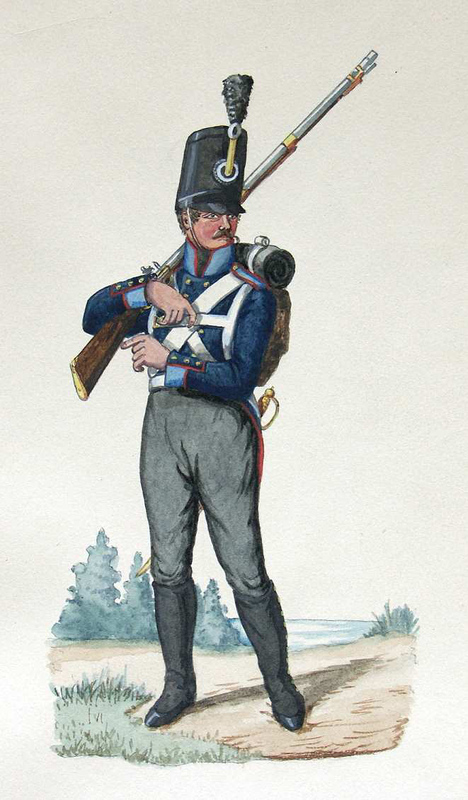 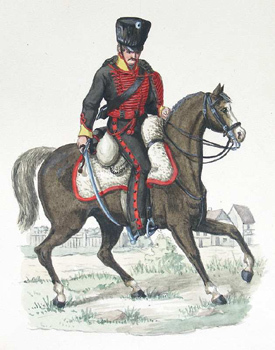 These images represent Landwehr Freikorps, and Volunteers of the allied armies from the Wars of Liberation of 1813 and 1814. 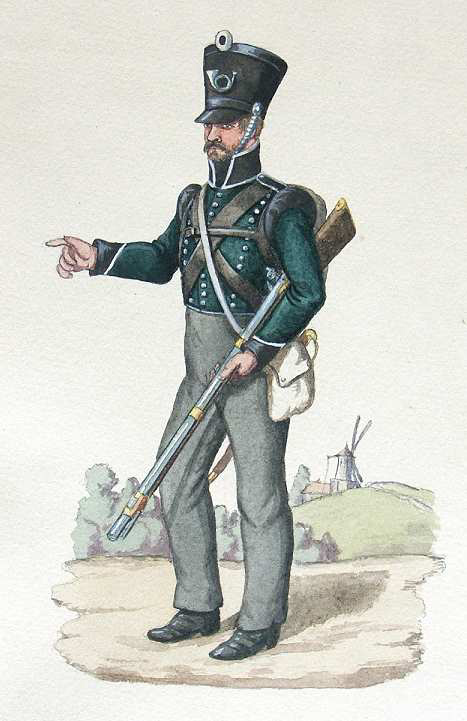 Many of these units wore a variety of uniforms, so even though these images are contemporary, the reader should be careful about applying what is shown here to all units. Neumann was considered a very careful draughtsmen and painter, who reliably reproduced what was in the available the sources -- but he was not alive at the time the uniforms were worn. 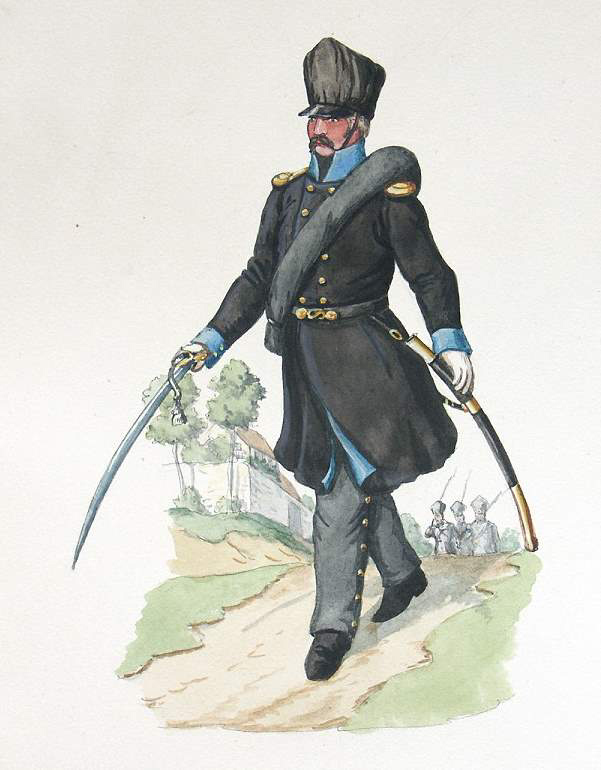 Many of his water colors are in the famous Vinkhuijzen Collection of the New York Public Library. These images represent the portion of the collection that deal with the Prussian Freikorps and Volunteers. The images are published here with the captions of the original captions from the Kunstbibliothek in Berlin. 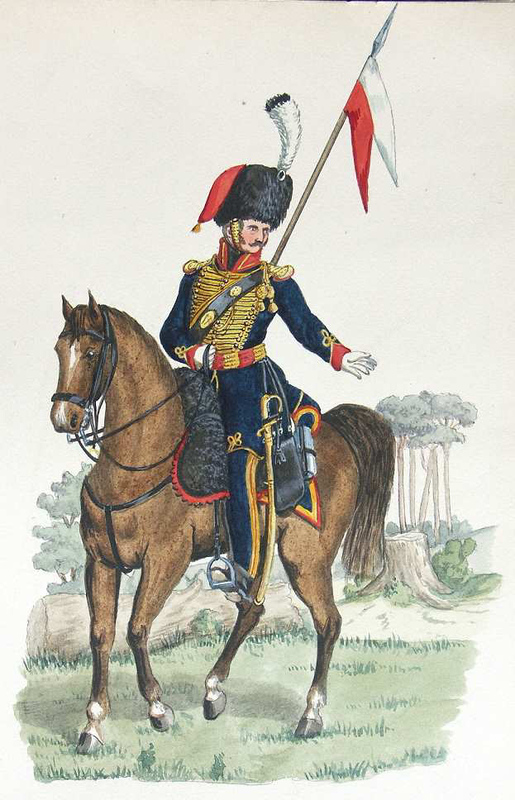 These drawings originally appeared on line in German by our partner, Napoleon Online and are used with permission of the Kunstbibliothek in Berlin. 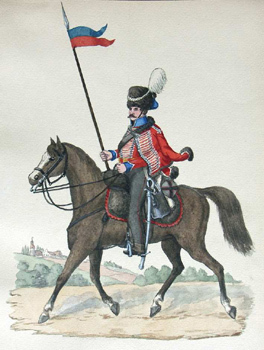 Please note that Markus Stein holds the copyright on all of these images. © Copyright 1995-2007, The Napoleon Series, All Rights Reserved.